Sand-bubblers are crabs of the genera Dotilla and Scopimera which are known to produce remarkable patterns and structures at tropical beaches. From these pattern-making abilities, we may draw inspiration for digital visual art. A simple mathematical model is proposed and an algorithm is designed that may create such sand-bubbler patterns artificially. In addition, design parameters to modify the patterns are identified and analyzed by computational aesthetic measures. 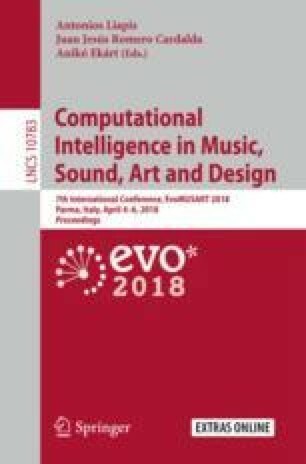 Finally, an extension of the algorithm is discussed that may enable controlling and guiding generative evolution of the art-making process.